WHEN FORMER UNITED STATES SENATOR Max Baucus accepted the honor to serve as the U.S. ambassador to China, he wanted to share a piece of his home state of Montana with the world. 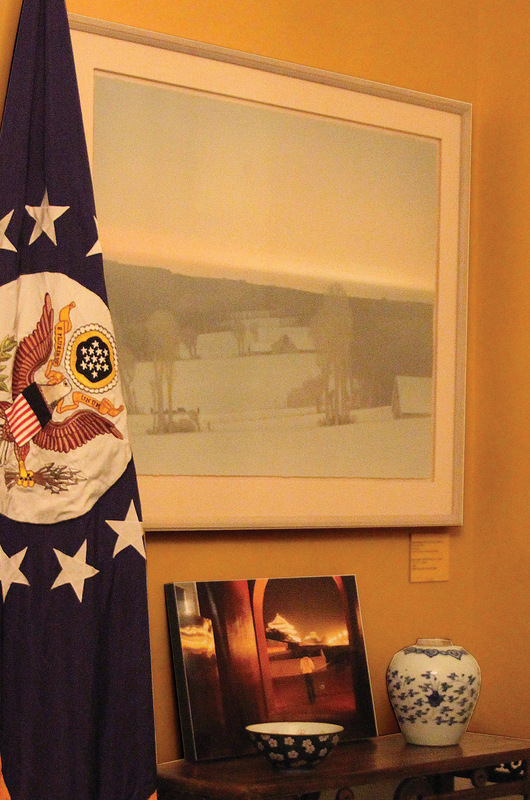 Serving at “the pleasure of the president,” he and wife Melodee Hanes looked to the notable Art in the Embassies program as a way to bring a contemporary Western art collection to the embassy residence in Beijing. In 2014, Baucus left his position as chair of the Senate Finance Committee in a flurry that began with his swearing in and an across-the-globe move. He and Melodee were ready for the challenge and the adventure. Since accepting the pivotal diplomatic post, Ambassador Baucus has visited 18 of the 23 provinces in the People’s Republic of China, as he promised Chinese president Xi Jinping that he would. He and his wife have hosted countless state dinners at the ambassador’s residence, where world leaders discuss serious topics that run the gamut of Chinese and American policies on trade, climate change, health care and human rights. More often than not, the gatherings are the entre to in-depth political meetings, a chance to make personal connections before delving into broader-reaching subjects. When Baucus became ambassador, it was the Year of the Horse in China. 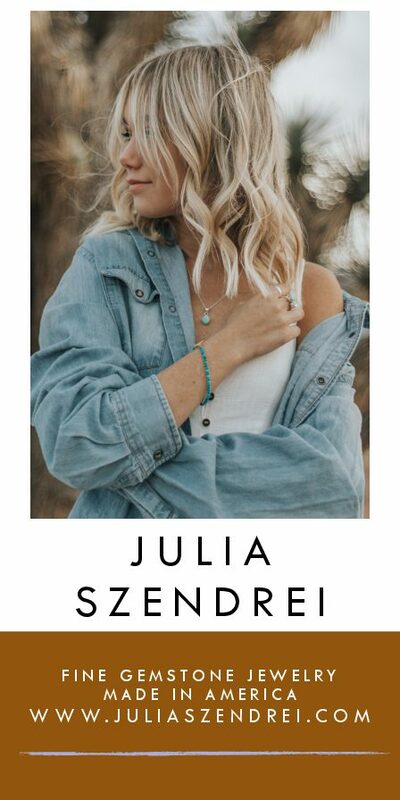 A symbol of hard work, diligence and strength, according to the Chinese zodiac, the horse is one of the country’s most beloved of the astrological signs. Fortuitously, Baucus and Hanes have always loved horses, too. “It was serendipity when we found out it was the Year of the Horse,” says Hanes. Embracing the horse as the theme for the Art in Embassies collection, the couple decided to incorporate mostly Montana artists. Introducing American culture to the many guests at the U.S. embassy residence is de rigueur for the ambassador; the couple felt art would be an ideal way to showcase Montana’s beauty and a unique slice of America. Implemented by the Museum of Modern Art in 1953 and then formalized by President John F. Kennedy in 1963, Art in Embassies is a lending program founded with the intention of furthering cross-cultural understanding through the visual arts. As part of the State Department’s diplomatic outreach, this public-private partnership has engaged more than 20,000 participants globally, including artists, museums, galleries, universities and private collectors in 189 countries. Not every ambassador participates in the program, but for Baucus the artwork serves as the ultimate icebreaker. Based on the Art in Embassies’ budget, the couple had the option to select prestigious works from The National Gallery and The Smithsonian (think of it: Da Vinci, Degas, Moran); the previous ambassador had an Andy Warhol. 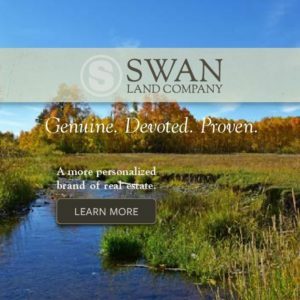 True to their roots, the couple built a collection of artists to express Montana’s landscape, rugged beauty and open space. Hanes reached out to each artist personally. The list was short, but poignant: Deborah Butterfield, Russell Chatham, Harry Koyama, Carol Spielman, Theodore Waddell, Rudy Autio [1926-2007]. On a recent trip back to Montana from his post in Beijing, Baucus and Hanes stopped to talk art at Visions West Gallery in Bozeman. Embodying the easy manner of their home state, the political couple introduced themselves casually with genuine smiles and first names — Max and Mel. Catching their breath in Big Sky country, which Baucus represented as a Democrat in the U.S. Senate for three decades beginning in 1978, and before that as a state representative for four years, the couple was relaxed and gracious in conversation. At this departure from formal state department dinners and meetings, Baucus and Hanes lauded their opportunity to participate in the Art in Embassies program and praised the collection they’ve assembled. Baucus’ mother was a traditional Western art collector whose taste has influenced his interest in art. He and Hanes brought a C.M. Russell bronze with them from his own collection to decorate the private quarters of the ambassador’s residence. The Russell reminds them of Montana’s history, but other works in public areas of the house represent more contemporary art. 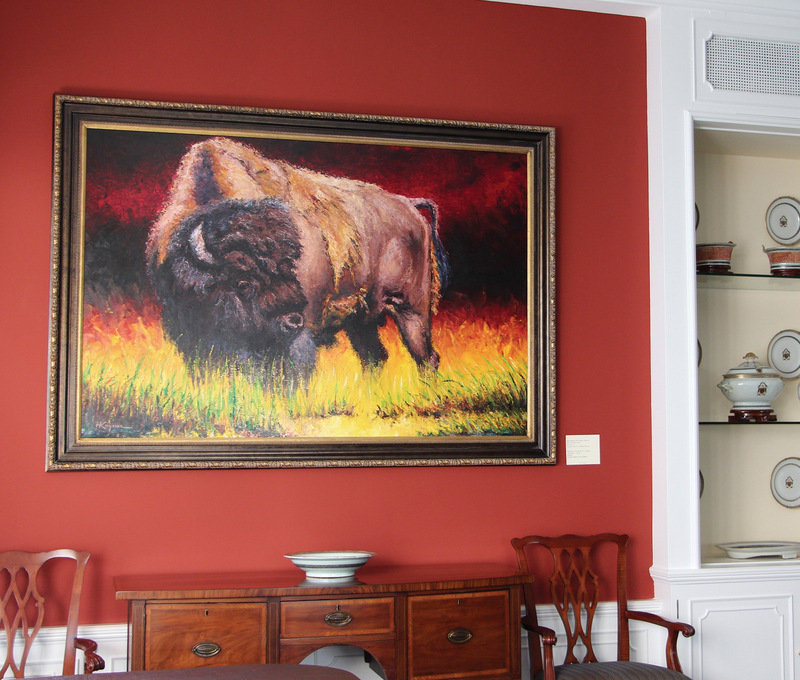 In the formal dining room, a large three-piece canvas from Billings artist Carol Spielman greets guests. 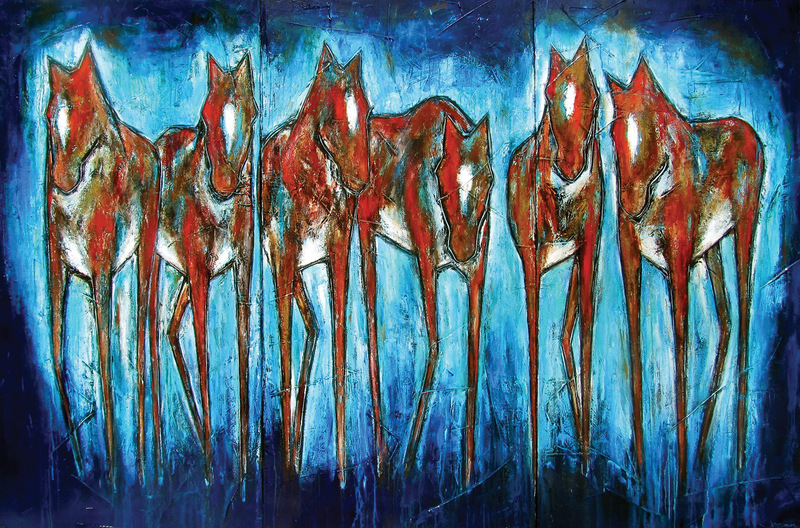 Entitled Welcoming Committee, the assemblage of six leggy horses seems to lean in with curiosity toward the elegant dining table. Hanes and Spielman have been friends for a long time; their children went to high school together. Baucus and Hanes have collected her works through the years. The Art in Embassies program typically keeps loaned works for up to three years, depending on the individual ambassador’s tenure. For the Year of the Horse and Baucus, the eight original works of art will be on loan likely through 2016. 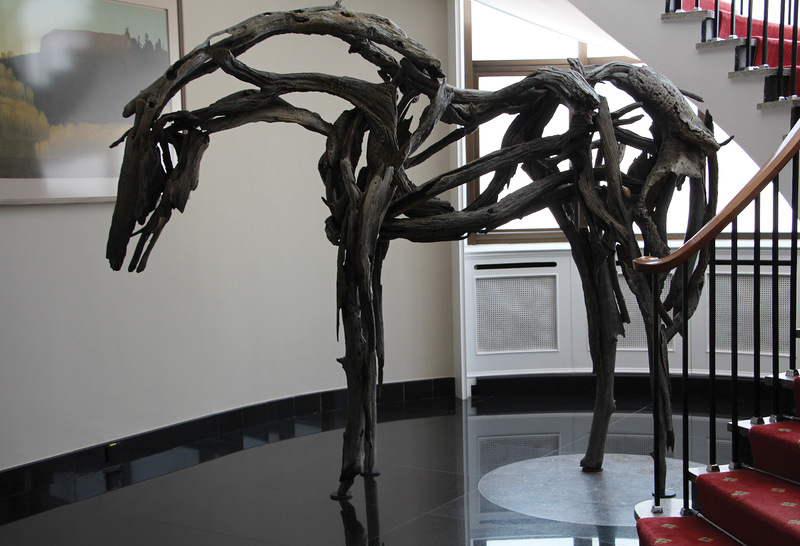 In the meantime, the jewel of the collection, the 3,000-pound bronze horse named Isabelle, by sculptor Deborah Butterfield, stands in the entrance of the ambassador’s residence where she welcomes guests as graciously as Max and Mel. 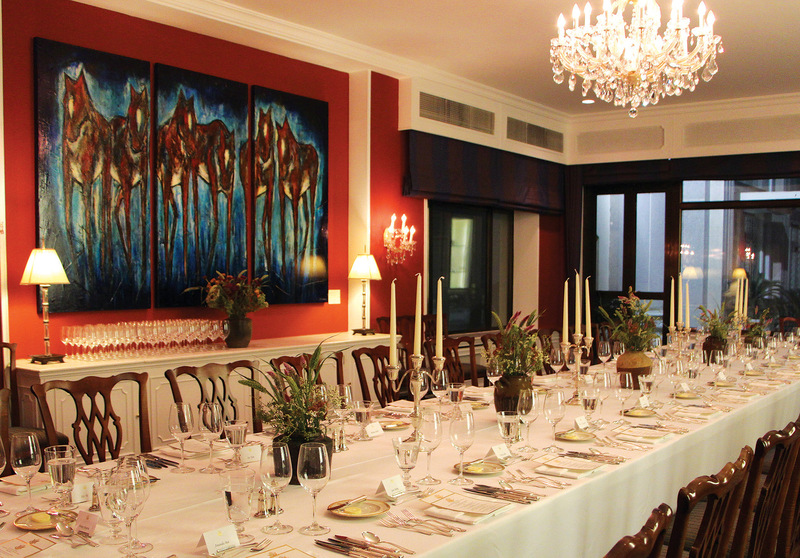 In the formal dining room of the American ambassador’s residence in Beijing, Billings artist Carol Spielman’s 6-by-9-foot tryptych, “Welcoming Committee,” greets prestigious guests from all over the world. 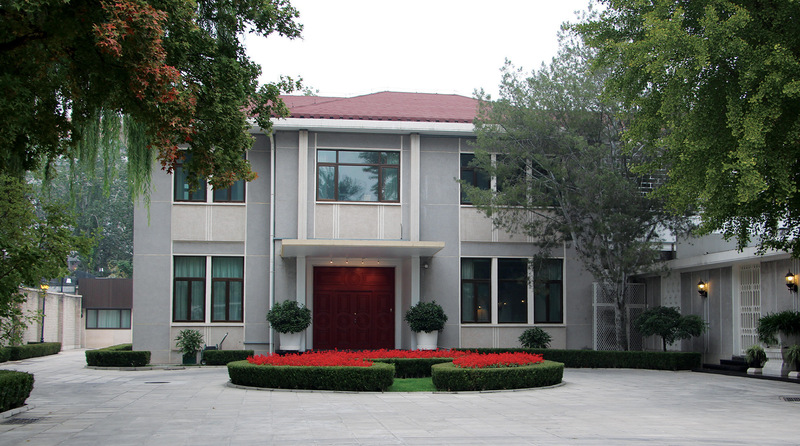 The private U.S. Ambassador’s residence in Bejing.